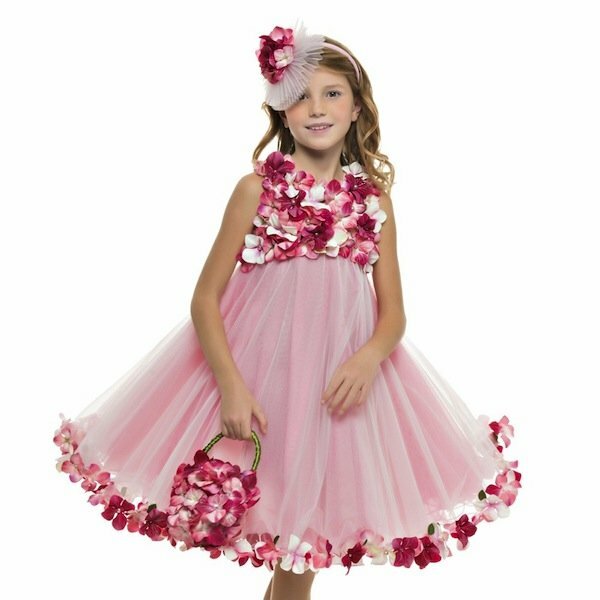 Now this is a WOW Party dress for Spring Summer 2017 – the LESY Girls Pink & Gold Tulle Special Occasion Dress. 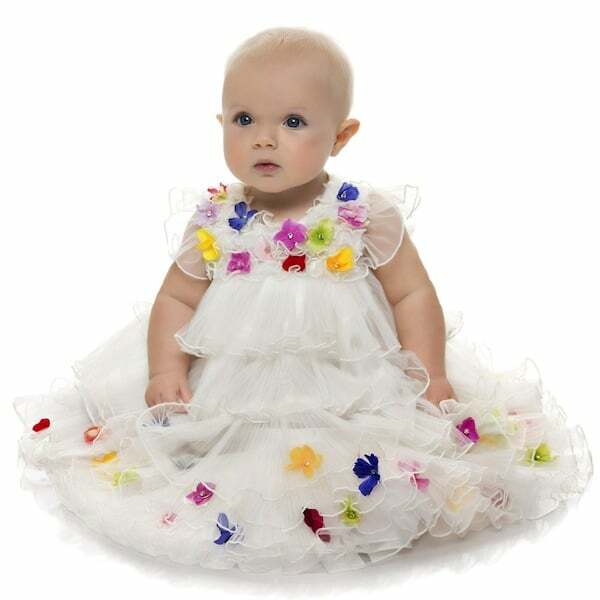 For when your princess needs a dress to match a fairytale moment, this stunning dress by Lesy, will make her look like she's on the set of a fairy tale movie! 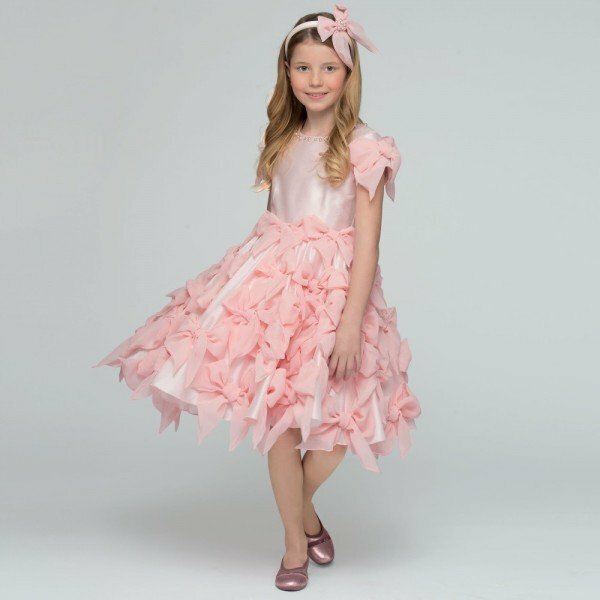 Crafted in pale pink satin, this royal dress has exquisite gold tulle overlays embroidered with glistening gold thread, and embellished with sparkling crystal gems that twinkle in the light, as she twirls around the dance floor. Complete the look with a gold floral hairpiece and matching white and gold dress shoes.